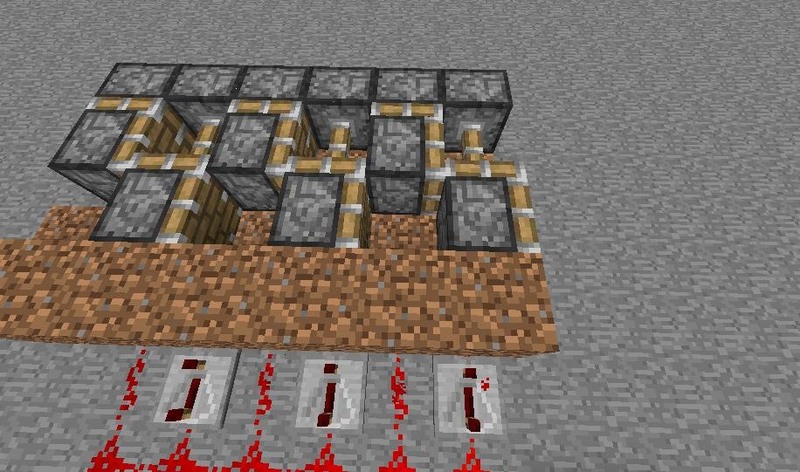 Redstone gives you the power to construct an endless number of possible machines, mechanisms, and devices. 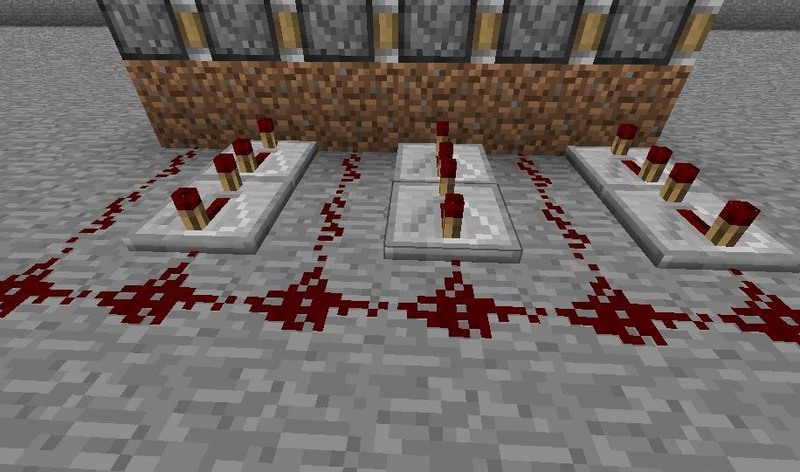 With redstone one can move more efficiently, send messages long distance, or even create games, but a redstone build doesn't have to be strictly practical to be worth building. 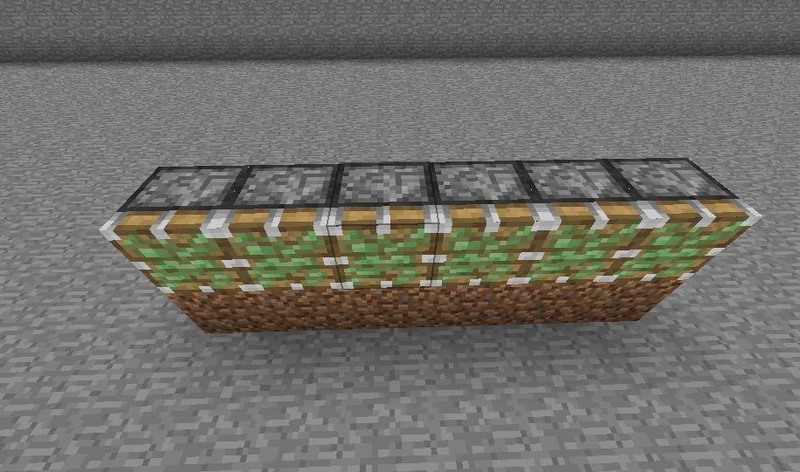 The piston conveyor belt actually does move items along a given path and while it can be used to transport goods, it's also worth constructing for its own sake. Sometimes the intricacy of a machine alone gives it purpose. This mechanism uses two sets of pistons to create a complex system of moving parts. It is not hard to build, but simple and elegant in design. (1) First lay out six sticky pistons on top of a solid block of your choosing as seen above. Be sure the pistons face outward. (2) Create a line of six solid blocks with a gap in between. 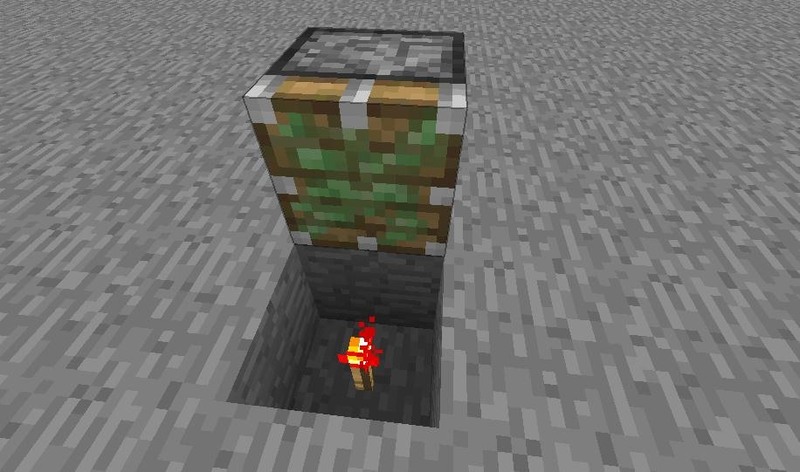 Place redstone repeaters in that gap and set them to their 3rd position by hitting each twice. (3) Now place regular pistons in a consecutive line facing right of the machine. 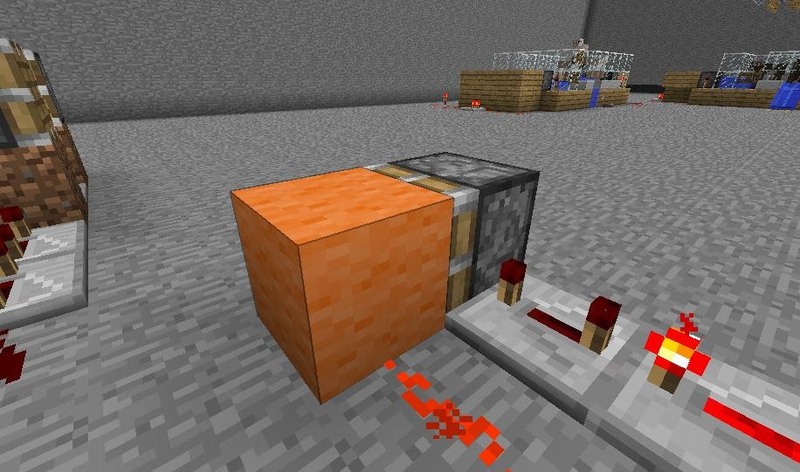 Your regular pistons can face left if you choose, but either way the open faces of the sticky and regular pistons should be perpendicular to each other respectively. 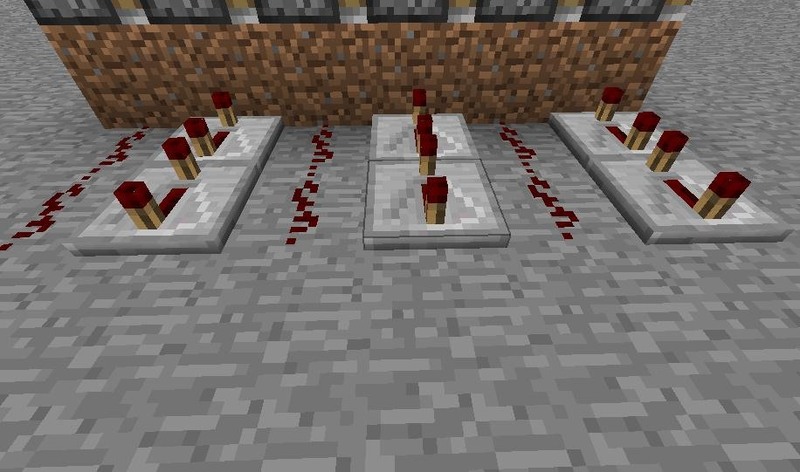 (1) Outside of the regular piston array, place alternating redstone wire and redstone repeaters, two per row as seen above. Set the repeaters to their 4th position by clicking them three times. 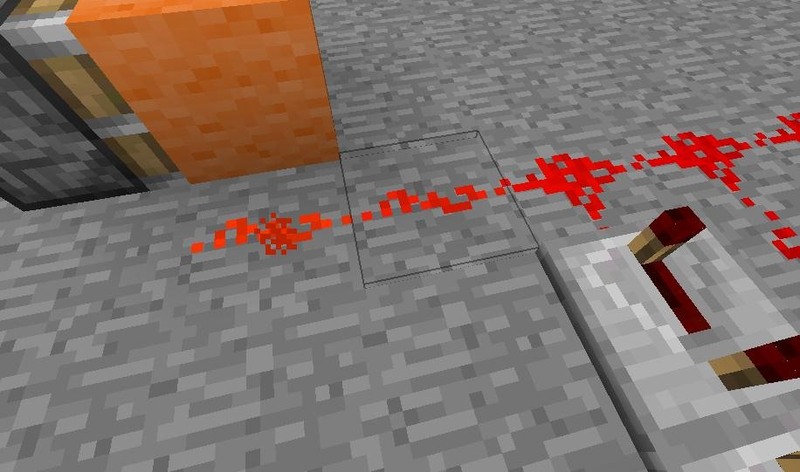 (2) Connect them together with redstone wire as seen above. 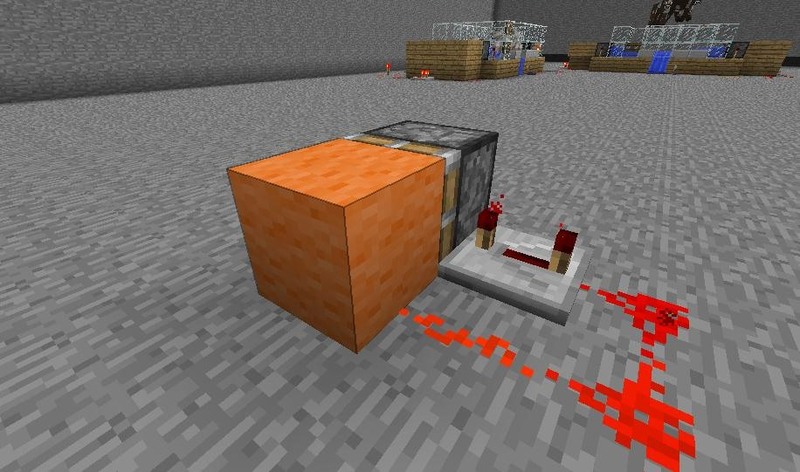 (1) We'll need a redstone pulse to power the machine, so we'll create a simple redstone pulser. 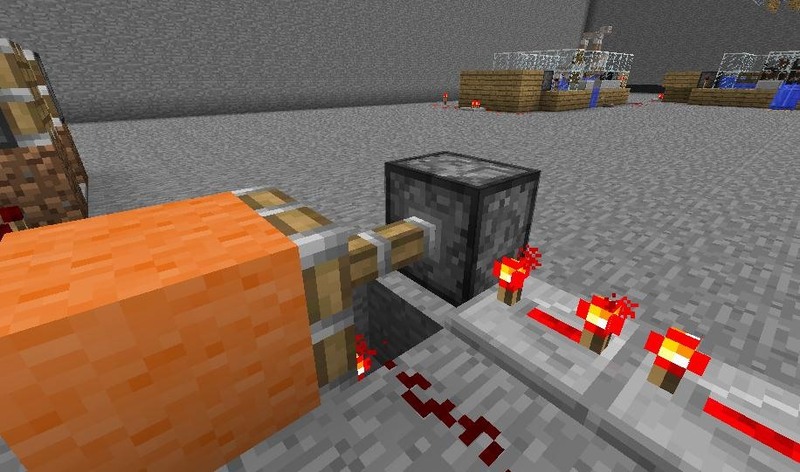 To do so, place a redstone torch in a hole in front of a sticky piston. 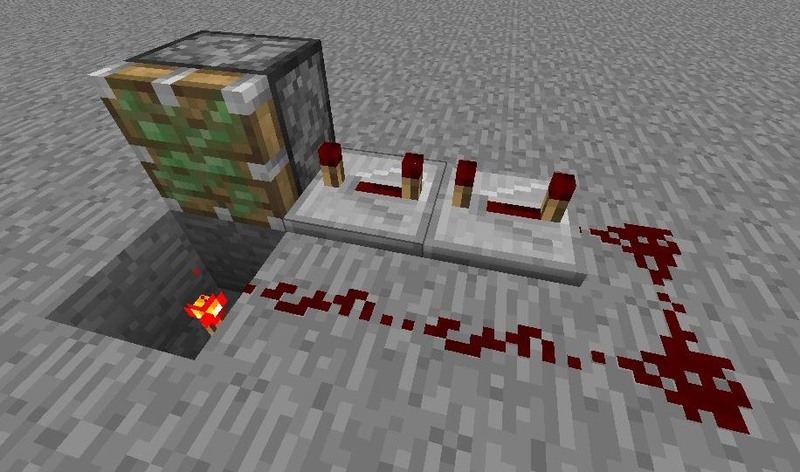 , (2) Place two repeaters so that their current will run into the piston. 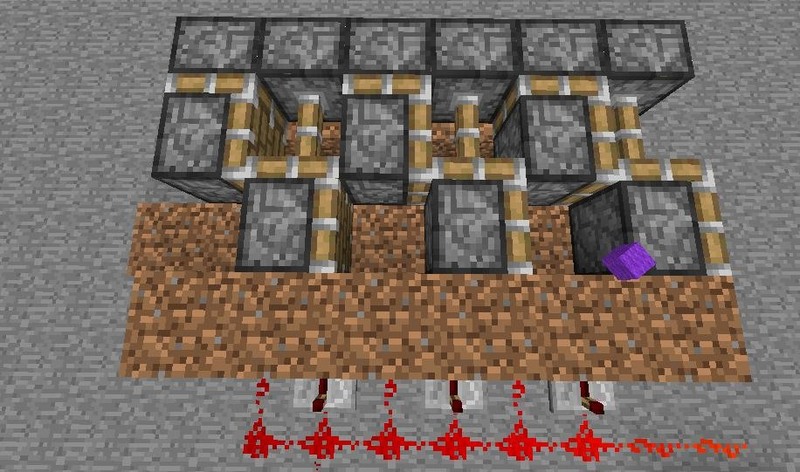 Connect the repeaters and the torch with redstone wire. (3) Complete and activate the pulser by placing a block on the sticky piston. , (4) The pulser should now be powering itself while the piston now moves in and out. 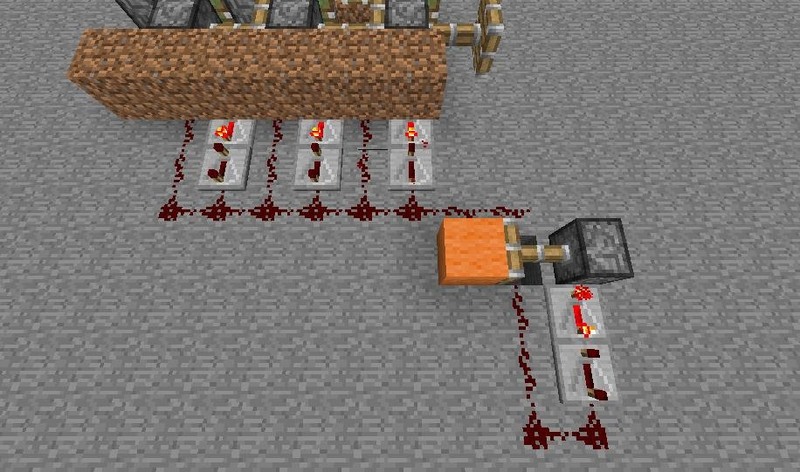 (5) Run redstone wire from the redstone torch to the conveyor belt's redstone wiring. , (6) Here is the connection of the two devices from another view. (1) It is here that you may edit the timing of the machine to be faster or slower. To do so, change the amount of repeaters and their timings associated with your machine. Here I have only three repeaters in front of my machine set to the 4th position. (2) If you choose to change your machine's timing you must match it's timing to that of the pulser. So here I have matched my pulser to my machine by only placing one repeater at the 4th position. 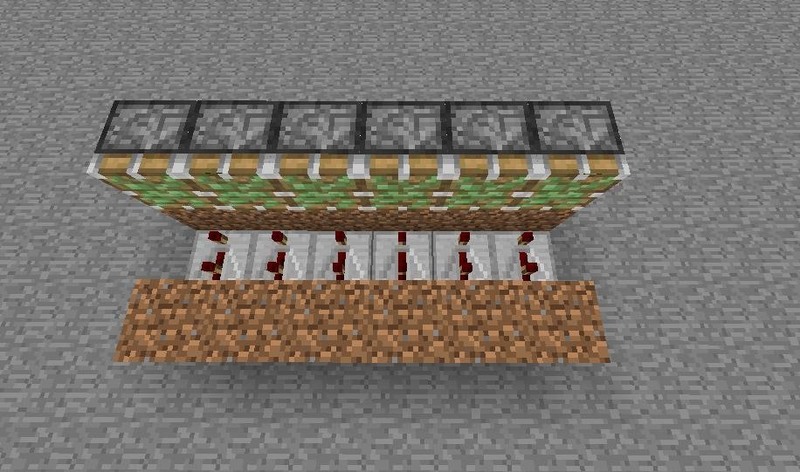 (3) The timing of your conveyor belt just effects how fast it moves, it works fine regardless of this. 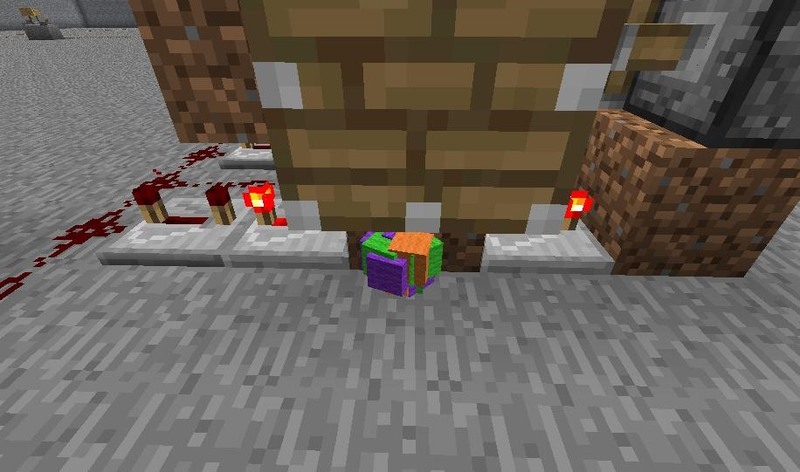 To test my conveyor I have dropped several green, orange, and purple wool blocks into the machine. , (4) Here the wool blocks have moved almost completely from the left to the ride of the conveyor belt. , (5) Here are the blocks deposited on the far right side of the machine. In this present setup, I was able to move these wool blocks six blocks in a matter seconds. 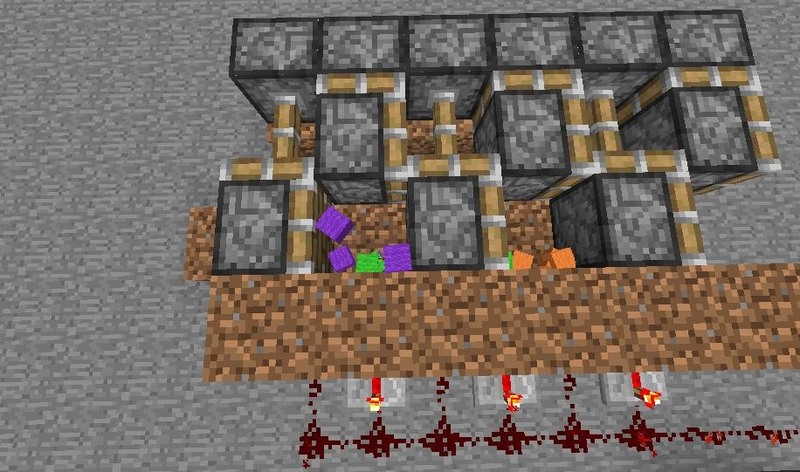 Although this conveyor is only six blocks wide, you could in theory build a conveyor as long as you wanted to. 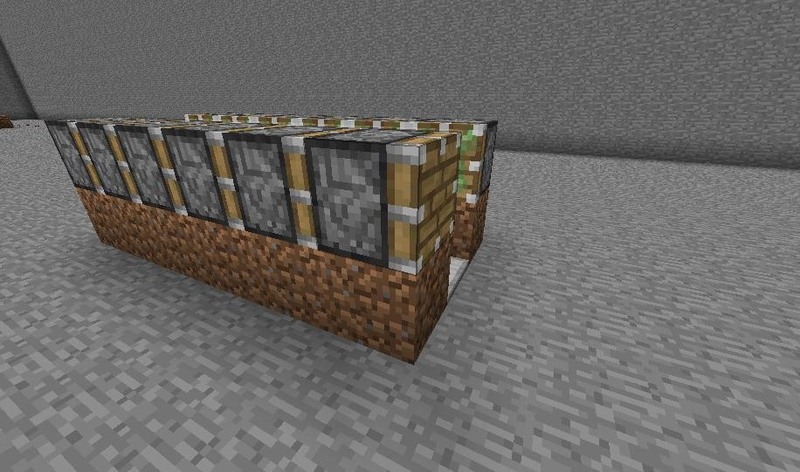 Now that you know how to build it, show us what you use the piston conveyor belt for by posting images or video of it on the community corkboard! If you have any questions, comments, or suggestions for future tutorials let us know in the comments section below. Thank you guys! This works! I connected to the fireworks dispenser that automatically shoots fireworks. When I opened it, it works! it's a fireworks show! Thank you!